Tattvodyota though stated to be aprakarna has all the potentiality of a Vadagrantha. Its main theme is to point out the difference between the Brahman and the Jivas even at the liberated state and the fact that both the Jiva and the Jagat are completely under the control of the Supreme God and are regulated by him. In the course of developing this theme, Sri Madhvacharya discusses the nature of the concept of Bheda i.e., the difference and the concept of Mithyatva posited in Advaita. He also discusses the import of Sruti ‘Na asat na sat’ etc. which is interpreted by the Advaitins as lending the support to the concept of sad-asad vilakasanatva. The Jagat Satyatva i.e. the the reality of the world is affirmed. Of Mithyatva that was briefly reviewed in Prapanchamithyatvanumanakhandan isreviwed here again in greater details. In that small text Drisyatva hetu was examined. Here two more hetus viz. Jadatva and Parichchinnatva are examined. The concept of Ajnana is refuted. 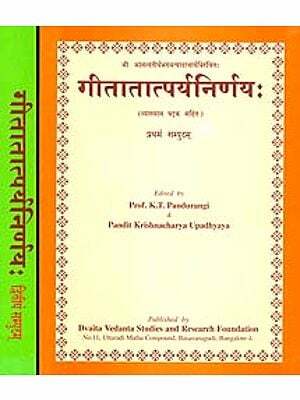 The svaprakasatva concept of Advaita is also examined. The role of Pratyaksa Pramana in comprehending the reality is explained. The role of Pratyaksa Pramana in comprehending the reality is examined and its priority over other Pramanas is pointed out. 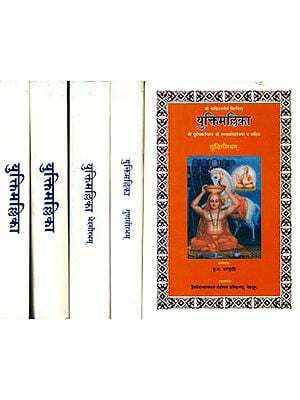 The correct import of the sruti passages ‘Tat tvam, asi’ ‘Vacharambhanam’ etc., is explained. The most important item discussed in this text is the sameness of the bhuddhistic position and the Advaita position. It is clearly pointed out that there is no difference between the Sunyavada and Mayavada. In the every Mangala verse the difference between the God and the Jivas and the fact of God regulating the Jiva and Jada is stated. 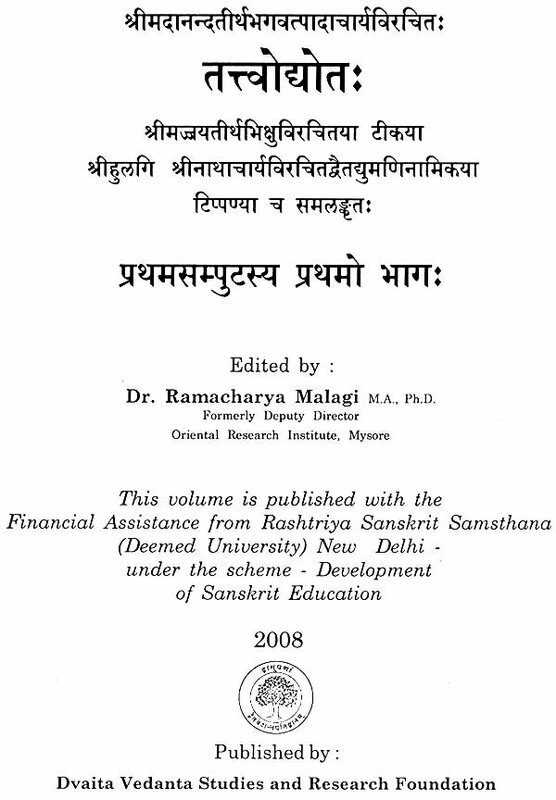 The text opens with the syllogism ‘Vimatah bhinnah muktatvat’ stating that the liberated is distinct from Bramhan. The question whether this difference is anirvachaniya i.e., indescribable as real or unreal or it is real does not arise, because, such a concept as Anirvachaniya is not tenable. The sruti Na asad asit na sad asit’ etc., does not support the concept of sad-asad-vilaksana. The expression ‘Sat’ in this sruti refers to Murta and ‘Asat’ refers to Amurta. Prithvi etc., are Murta and Vayu and Akasa are Amurta. The Supreme God is different and superior to these. He is described in this sruti. There is no refrence to the Advaita concept of Anirvachaniya here. Brahman is sometimes described as Anirvachaniya because he cannot be fully discribed. Similarly the words Rita-Anrita, Sat Asat etc, refer to the God and the world respectively with appropriate etemological meaning. The reality of the world is mentioned in the srutis passages: ‘Visvam Satyam Maghavana’ Satyah so asya mahima’ ‘Yathatathyato arthan vyadadhat etc. The Bhagavadgitia condems those who state the world to be unreal in the verse “Asatyam Apratistham te’ etc. The effort to establish Sada-asad-vilaksanatva by Arthapatti is a failure. The Arthapatti is stated as follows. If Suktirajata were real, it would not have been sublated later if it were not real it would not have been experienced. Therefore, it is neither real nor unreal. This contention is not acceptable because, Asat is experienced. It is experienced not as an object of experience but as something referred to in an experience. This much reference does not make it something different from the unreal. Therefore, no third category as neither real nor unreal needs to be accepted. The contention that the world will sublated soon after one acquires Atmaikyajnana is also not tenable , because, the very nature of the sublation. i.e., badhyatva cannot be explained. The Hetu Drisyatva also is fallacious as it is found in Atman also who is not considered as Mithya. Atman has to be considered as Drisyatva also is fallacious as Drisya. Since his knowledge has to be acquired to get rid of Ajnana. Similarly the Hetu Jadatva is also fallacious. Jadatva is nothing but Pramatritva Abhava i.e., not having the knowership. According the Advaita, Brahman has no Pramatritva. Therefore, Jadatva will be found in Brahman also who is not supposed to be Mithya. Thus the two Hetus viz. Drsyatva and Jadatva that are given to establish Mithyatva suffer from the fellacy of Anaikantika with reference to the Brahman. The same is the case with reference to the Hetu Parichhinnatva. Further, the reality of the world could be ascertained by the perception. The perception is superior to the inference. Therfore, the Mithyatva which is proposed to be established by the inreference has to be rejected. Finally, it is pointed out that there is no difference between the Sunyavade of the Buddhists and the Mayavada of Advaitins. The sameness of the two is pointed out in three important respects by quoting the relevant passages from the texts of Buddhism and Advaita. 1. The Sunya of Buddhism is described as a a) Nirvisesa i.e., without any characteristic (b) Manovacham Agochara not cognisable either by the mind or the words. (C) Svaprakasa i.e., not the object of any knowledge. The Brahman of Advaita also is described in the same way. 2. There are two levels of reality viz., Samvrita satta and Paramarthika satta, according to the Buddhists. According to Advaita also there are two levels viz., Vyavaharika and Paramarthika. 3. The whole world is a projection of Samvrtl according to Buddhists and it is a projection of Avidya according to the Advaita. From this it is clear that the concepts of Sunya and Brahman are the same and the concepts of Samvrtl and Avidya are also the same. After pointing out the similarly, between Buddhists tenets and the Advaita tenets, the Sruti passages that are quoted to support Advaita are discussed and it is shown that these do not support Advaita. In conclusion it is summed up that the Jivas are different from Brahman even at the liberated state and they are regulated by the God even at that stage.